Precision M7710 17.3" UltraSharp 4K UHD 3840x2160 Screen. OEM 90 Day RTB warranty. 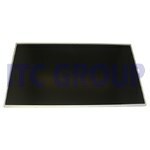 Dell Precision M6400 17" WUXGA Screen inc Bezel and inverter.